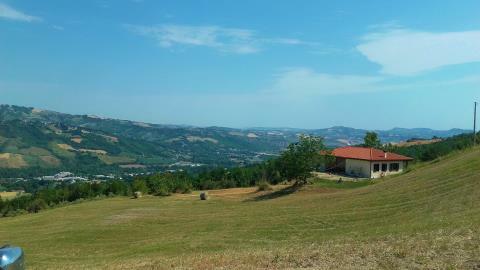 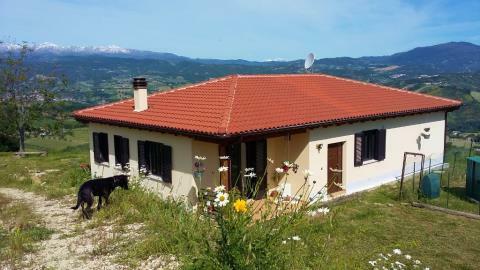 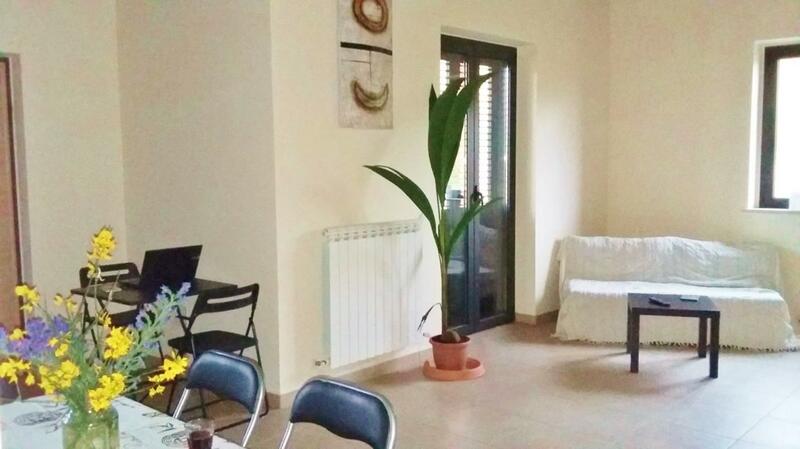 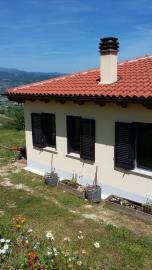 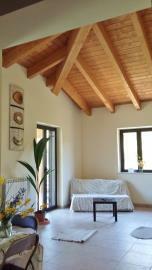 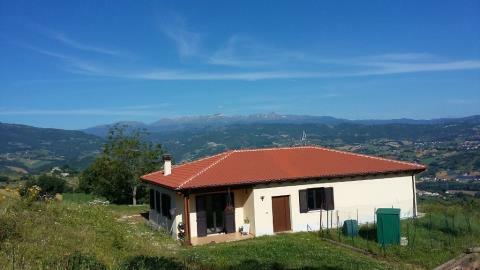 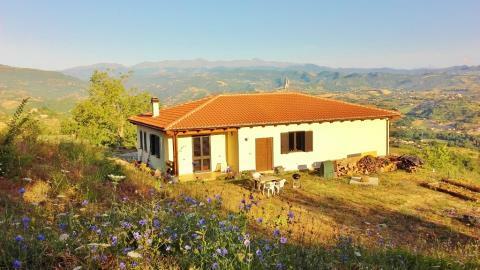 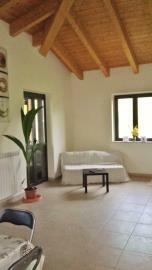 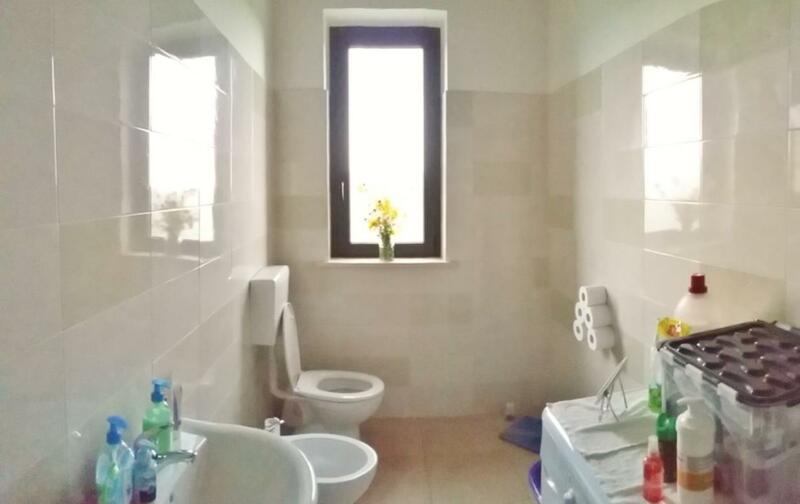 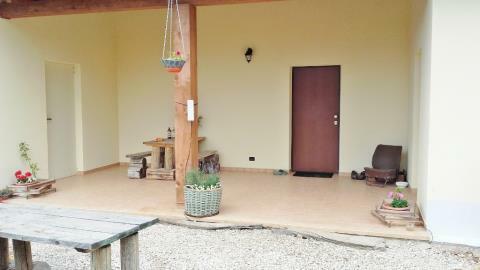 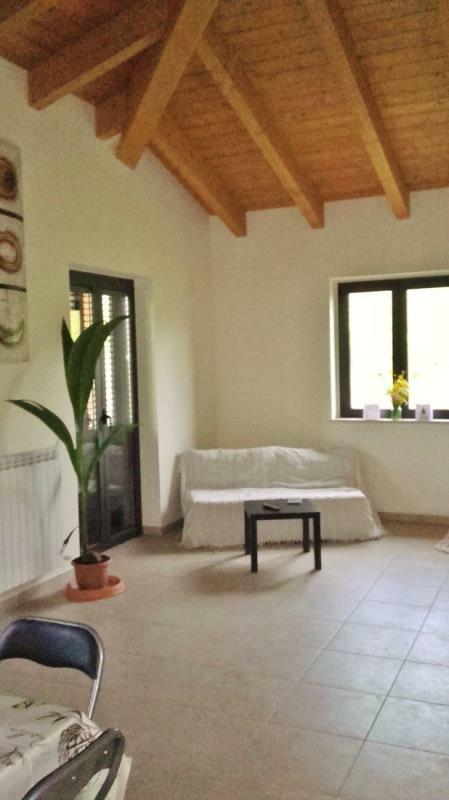 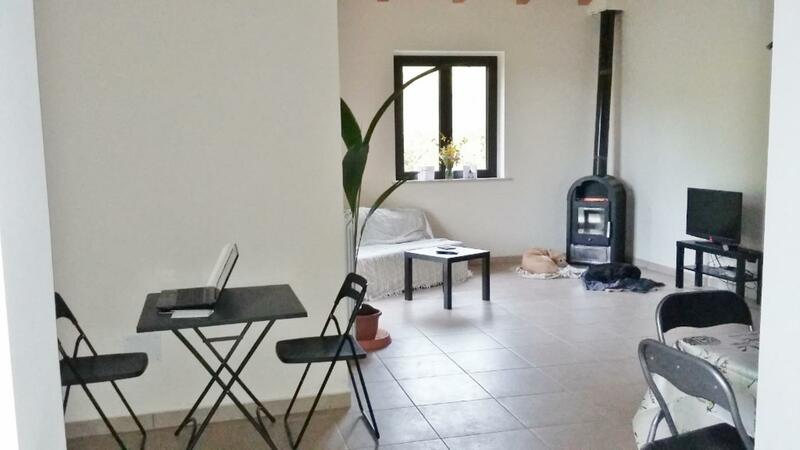 Recently built detached home with views in Abruzzo Ref: THOM01, Montorio al Vomano, Abruzzo. Italian holiday homes and investment property for sale. The house holds a large living room and kitchen, 2 double-sized bedrooms, 2 bathrooms and 3 covered patio areas. 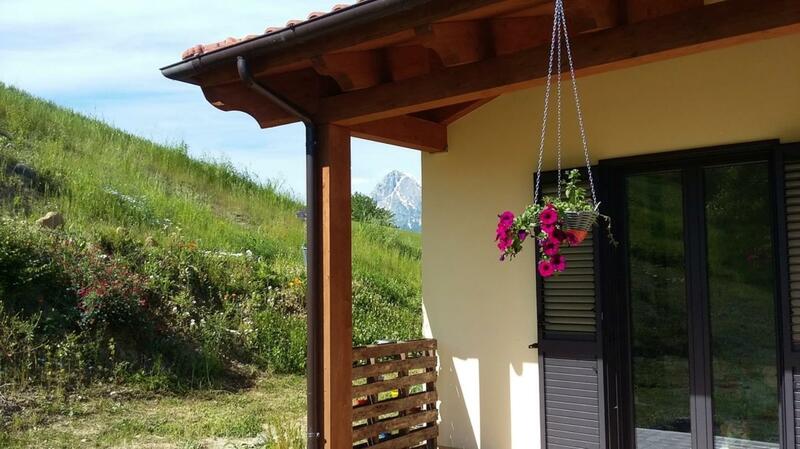 The views are equally stunning regardless of which of the three covered patio areas you choose to relax on. 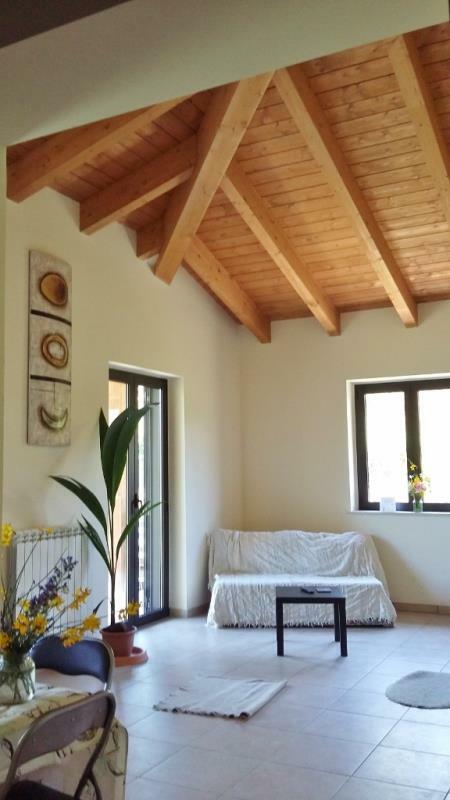 Throughout the house there are high, vaulted ceilings made in exposed wooden beams. 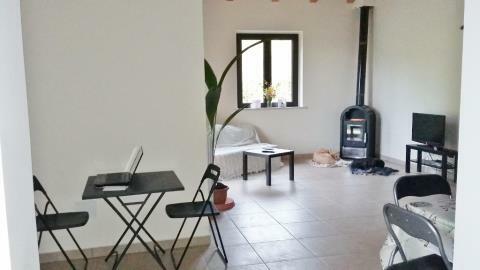 The kitchen is fitted with professional standard stainless steel units and a five-burner oven. The large living room has double doors leading to one of the patio areas. The bedrooms and bathrooms boast high-quality fixtures. The setting is very tranquil, yet just 10 minutes' drive to the nearest town. 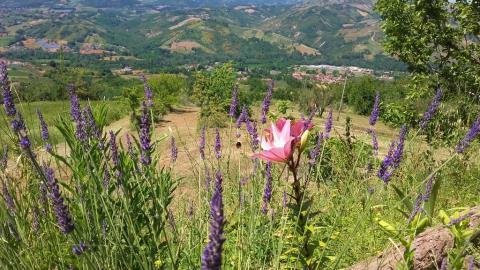 It is perfect for nature lovers, artists, smallholders or anyone looking for a remarkably beautiful spot of Italy. 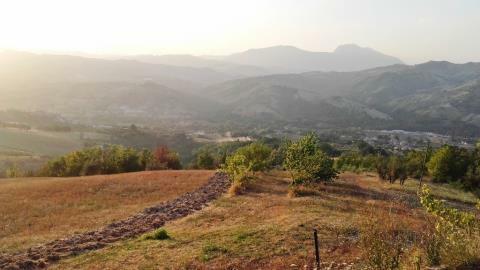 Around 3/4 of the 45,000sq m (4.5 hectares) is farmed. 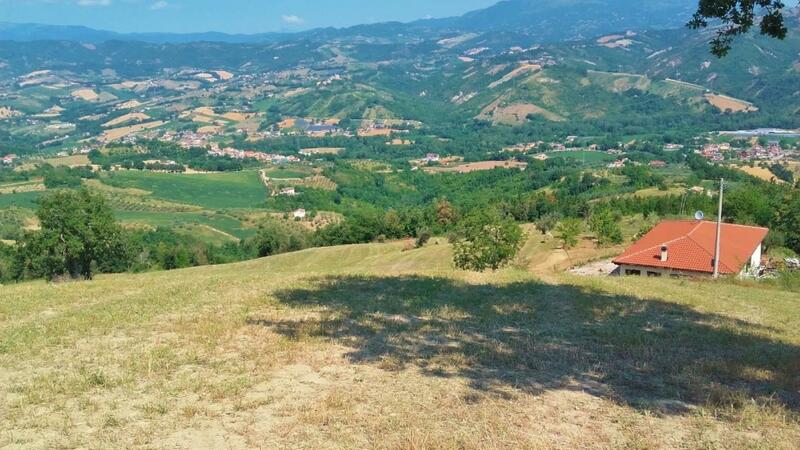 The rest consists of woodland, an olive grove with more than 100 trees plus trees of a variety of fruits — apples, apricots, plums, figs, wild cherries and walnuts. 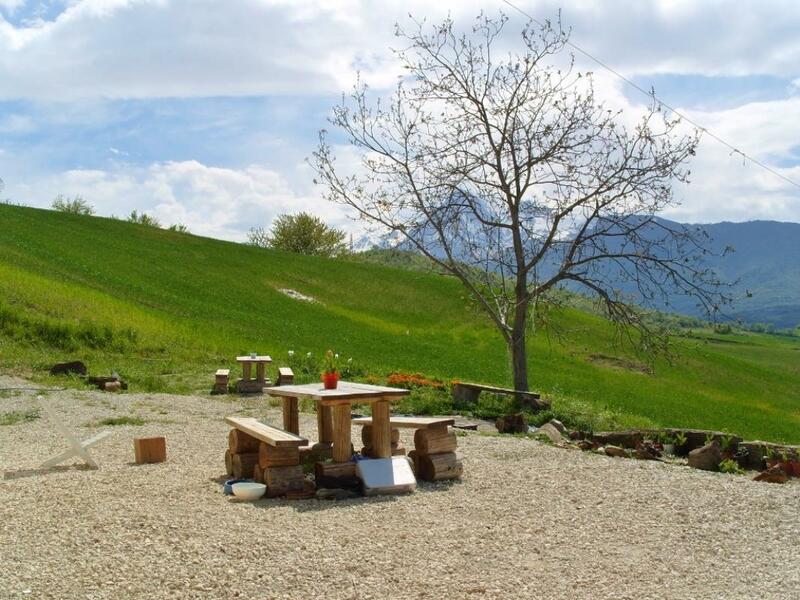 There is also an artesian well. 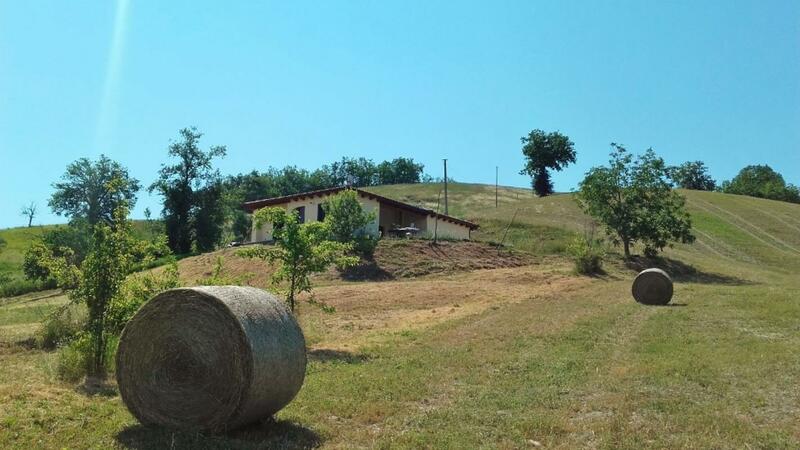 EU grants are available should you wish to farm the land yourself. Otherwise, a local farmer is happy to farm the land. 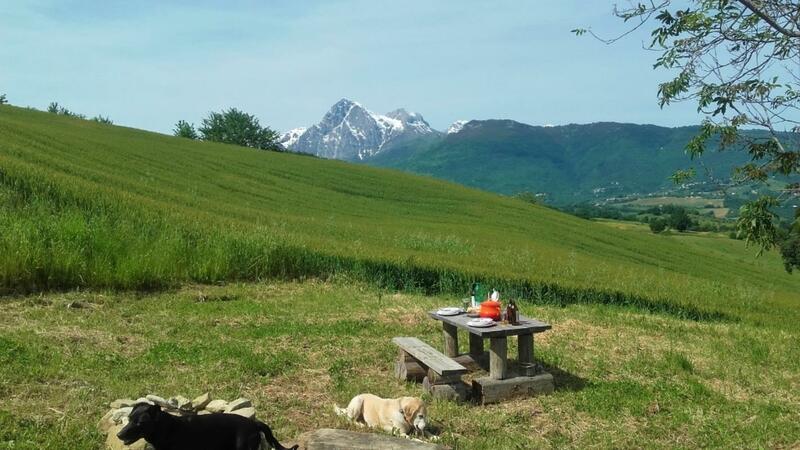 The local town, Montorio al Vomano in Abruzzo's Teramo province, offers the perfect blend of old and new — from its traditional butchers' shops, bakers, bars and restaurants in its old piazza. to the convenience of four modern supermarkets. The mountains, just a 40-minute drive away, have various ski resorts that are also popular in the summer months. 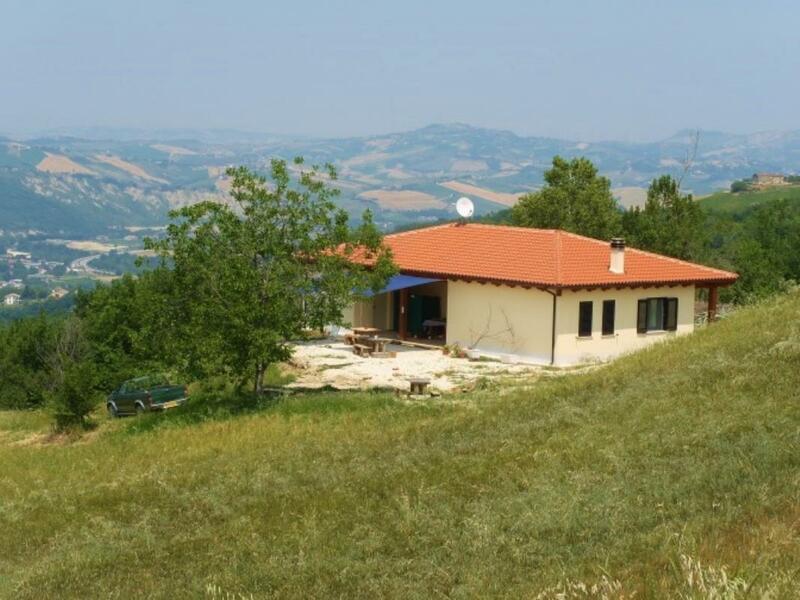 In the opposite direction, the Adriatic coast is only 30 minutes' drive away and features several excellent beaches and lovely seaside resorts.